WOW, Such a beautiful quote. 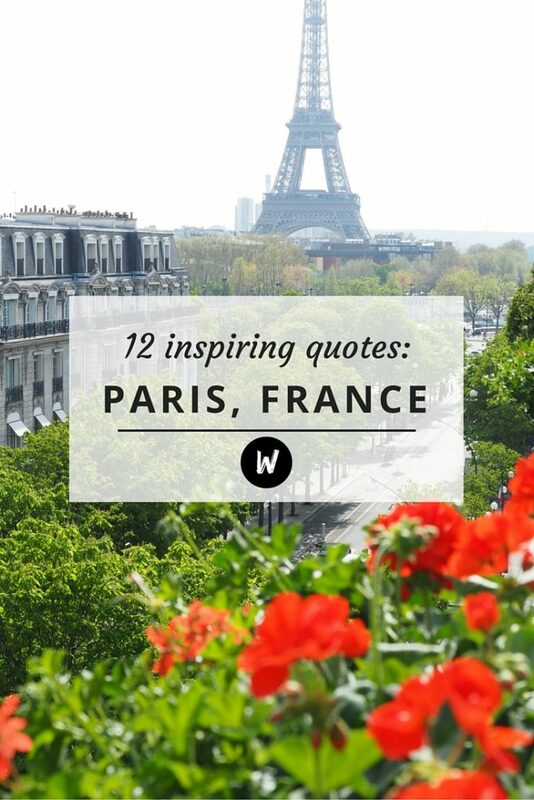 i love paris Thanks for shared this article. I loved this! Paris is my favorite place too, and I made it permanent when I brought a Parisian home. It is such a beautiful and inspiring place and has been for generations! It deserves all the love it can get. Paris is one of my favorite cities in the world! Nice post! Paris is very beautiful! Cannot wait to visit this September! These quotes just make me THAT much more excited. My favourite place in the world. I can’t wait to be back soon! “Paris is always a good idea” this quote convinced me to study abroad in paris for four months during unversity =o) Thanks for sharing! Like that quote reads, Paris is a whole other universe. It’s fashion, history, architectural beauty, is just unlike any city I’ve ever visited. Paris is the city of dreams.